This in my second tutorial for my Scan N Cut Tutorial series. 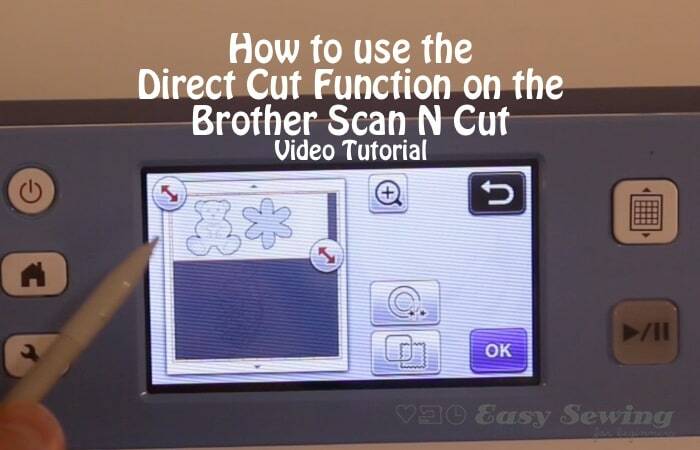 You can find all the other Brother Scan N Cut videos right here. I have to say I’m loving the Direct Cut function on this machine. 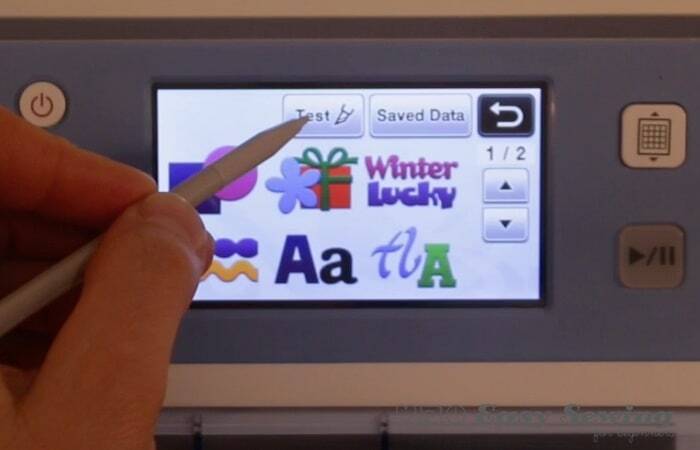 I recently used it to cut stickers out that I’d printed onto an inkjet sticker sheet. The ability to be able to recognise the outlines is awesome and then to be able to cut to a depth where I could peel off the sticker part and leave the backing in place blew my mind. How cool is that! Anyway, I’ll get on with the tutorial now. 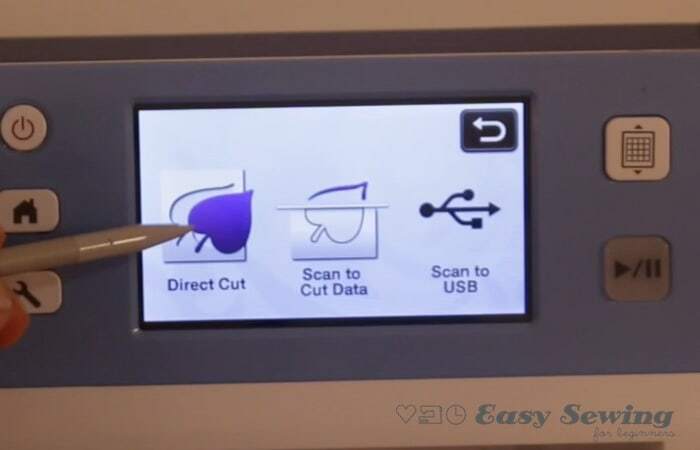 Below you will find a step by step video tutorial for how to use the direct cut function followed by step by step photo illustrations for those of you who prefer to scan through the photos. 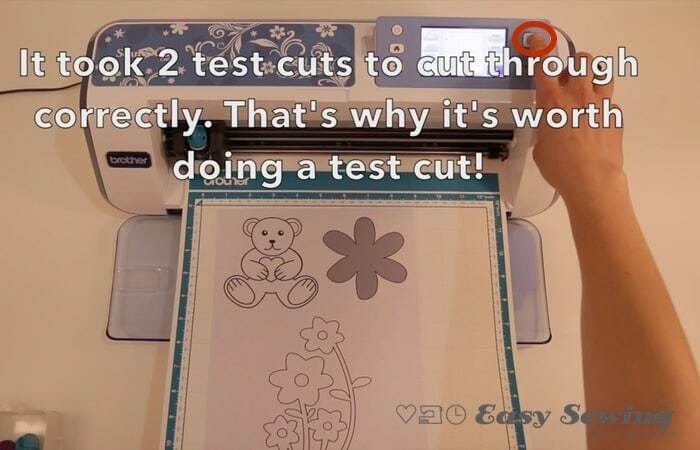 You will need to start off with a ‘Test Cut’ before you go into the scan function, as there is no way of doing the test cut from within the scan function. An oversighton Brother’s behalf? maybe. That’s why I’m here, to save you the time of having to work that out yourself. Ok here we go…. I like to test cut with the square, but if you want to use a different shape then go for it ?. Now you will see the small test cut on the screen ready to go. But first we need to load in something to test! 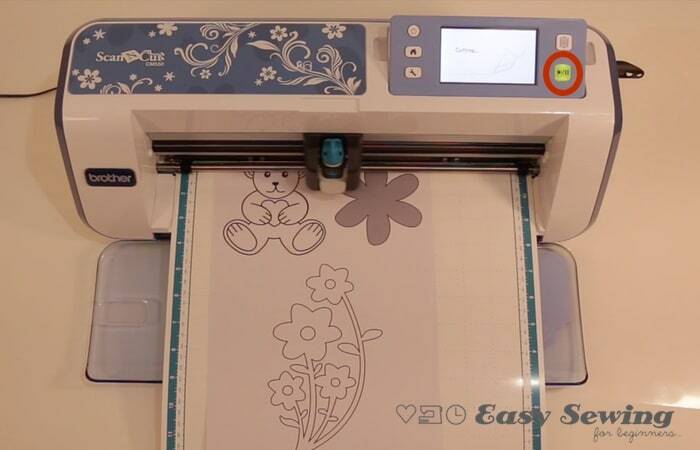 Remove the protective plastic from the cutting mat and place your chosen material onto the cutting mat. 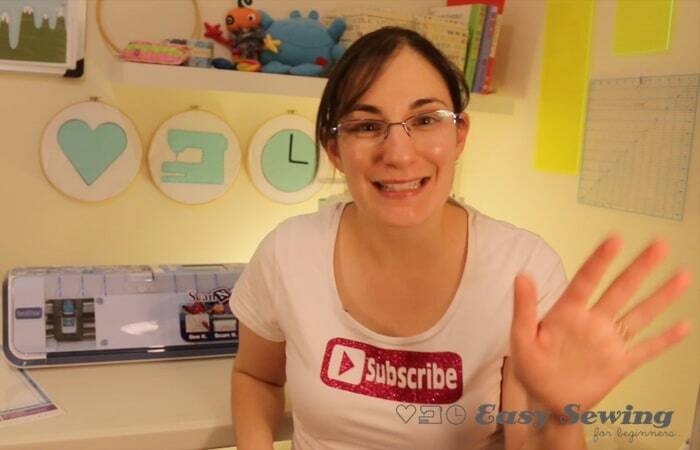 I’m using cardstock for the tutorial. 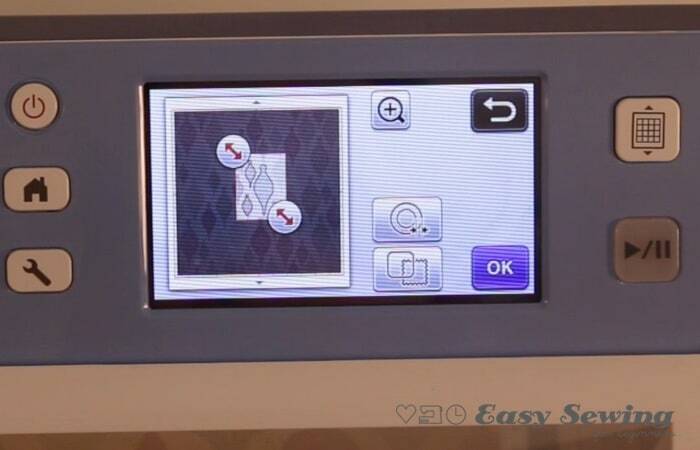 Hold the mat evenly in the machine and press the ‘Load’ button. 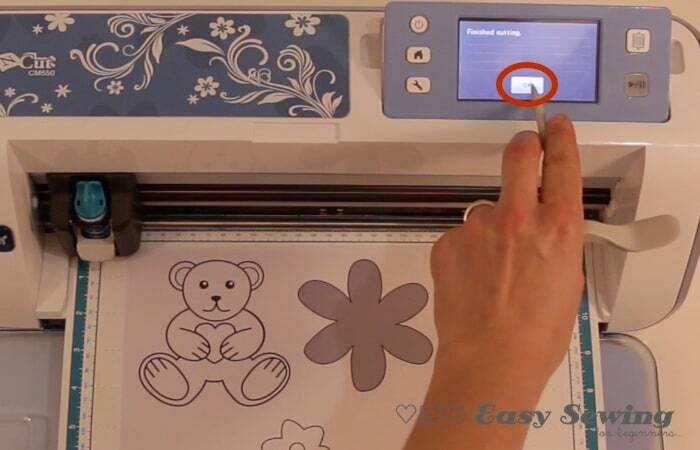 Scan your mat in so you can see where your paper/card is on the cutting mat. Then you can move the test cut over to a suitable spot. Preferably somewhere where you’re not going to cut through a design you wanted to directly cut in the next part. As you may have read in the photo above, it did take me 2 test cuts to get the depth of the blade right. Do the test cut people! It’s worth it. Not as frustrating as realising your direct cut hasn’t gone all the way through! 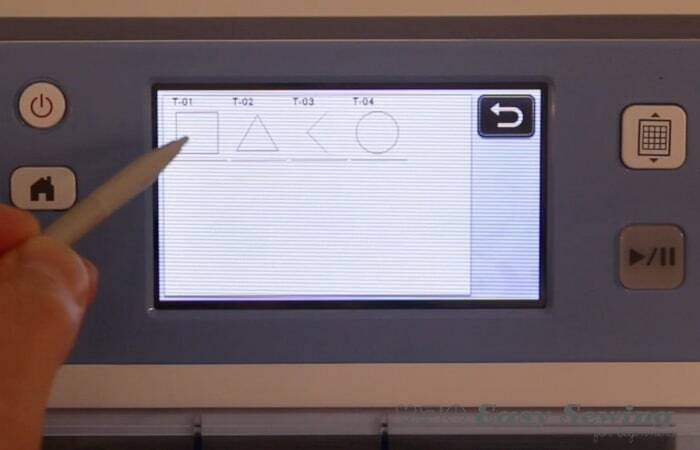 Once your test cut is all good then you are ready to go into the ‘Scan’ function. 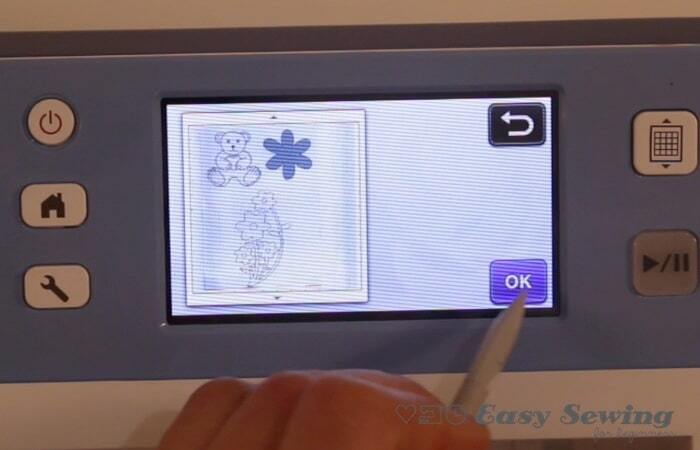 And hit the go button to scan the mat and the material on it. 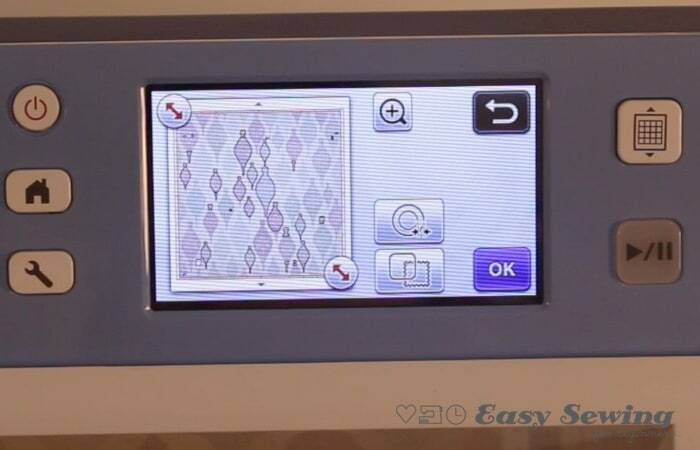 Once your Scan N Cut has finished scanning the mat it will display what it has scanned on the screen. ‘Ok’ this. 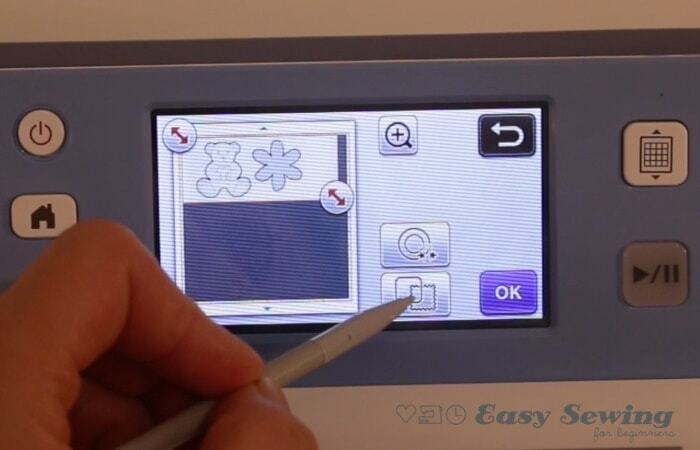 Use the arrows to choose the parts that you want to use the direct cut function to cut out. You can add a border around the outside of your cut shapes by selecting the button shown in the photo below. 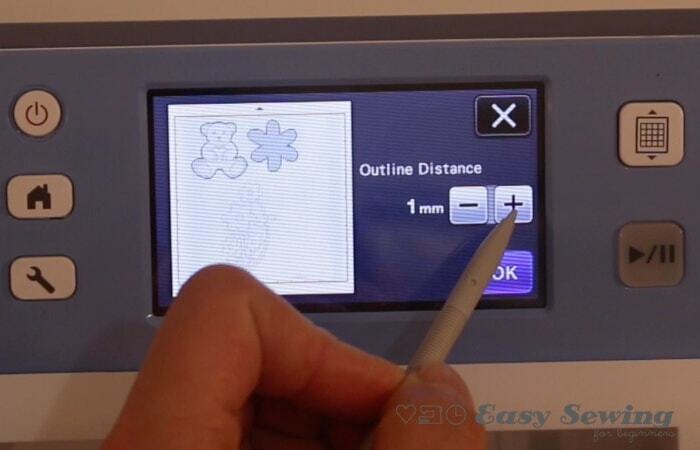 Choose the outline distance desired and select ‘ok’. 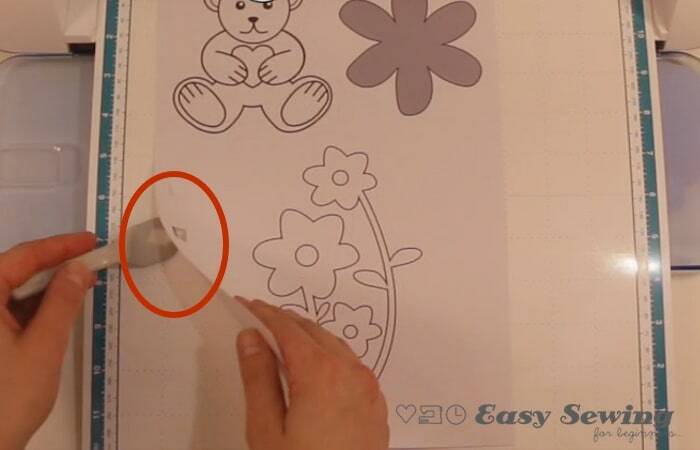 You could also choose to put a shape around what you want to cut out instead of cutting around the outline of it. Select the shape option in the photo below. 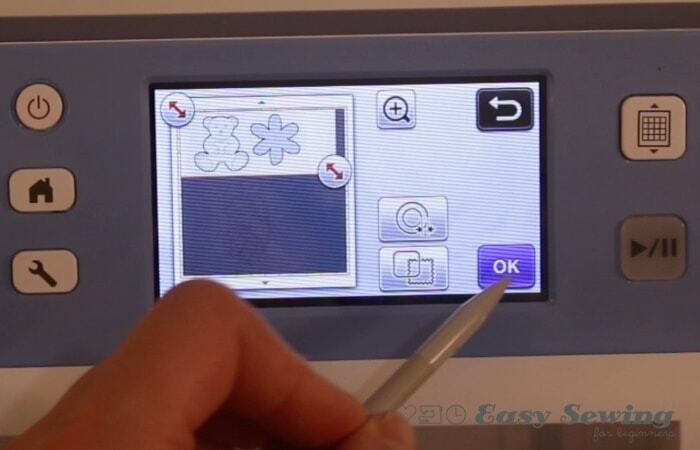 Once you’re happy with what the machine has chosen to cut out then select ‘Ok’. Hit the Go button to watch the machine work it’s magic! 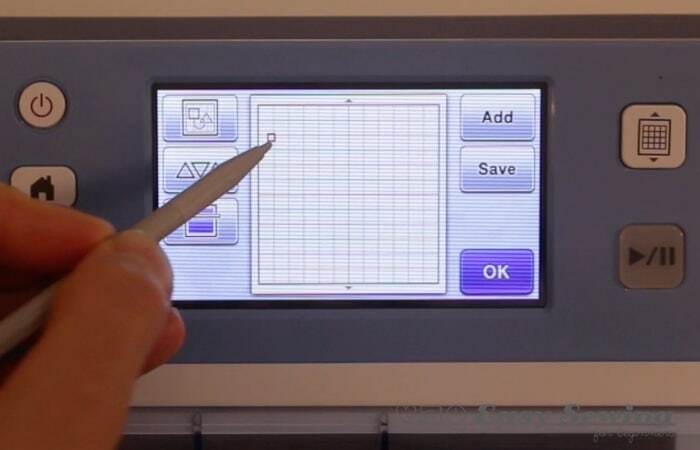 Select ‘Ok’ when the machine has finished cutting. 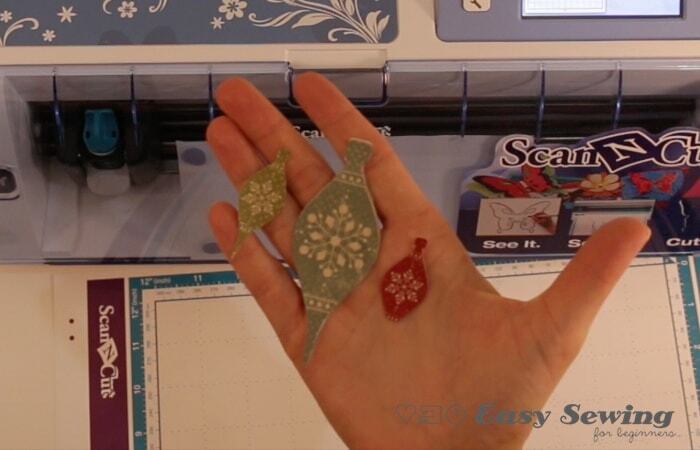 Use the little spatula to lift of the excess card, leaving the cut shapes on the mat. Then use the spatula to carefully remove the cut shapes. What an awesome job the machine has done! There’s no way I could cut like this by hand. and Here’s the flower all cut out. It did cut the black outline line off a bit on this one and left a bit of white on as well, but still a very nice cut. 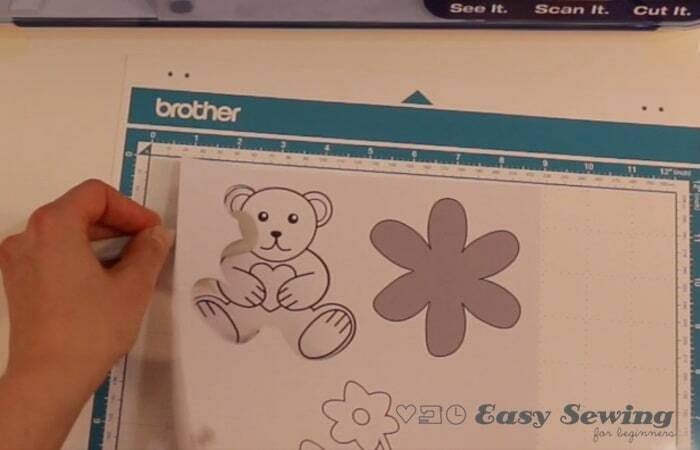 You can also use patterned paper or card and cut out the pattern or design on it. Below I have some scrapbooking card. On one of the designs you can just see that I’ve traced around it with lead pencil. 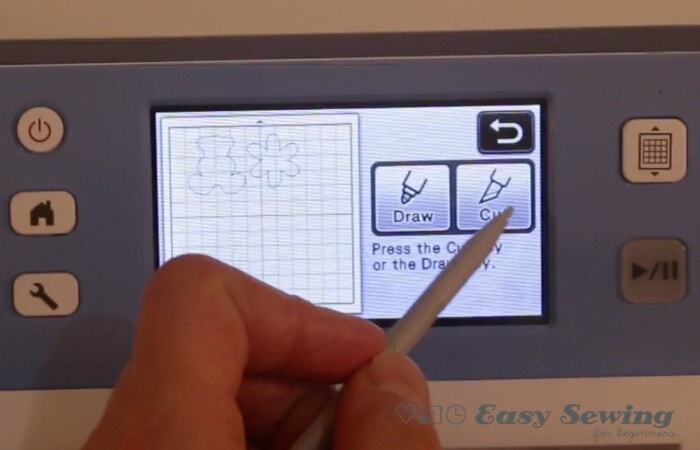 I did this to make it easier for the scanner to pick up the outline of the design.It’s important to have that solid line so the scanner can pick it up easily. 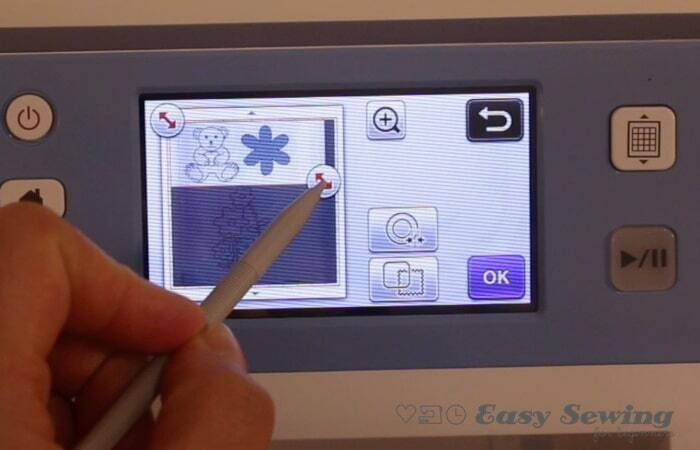 If there is shading around the shape or broken lines the scanner may not pick it up. I followed the steps that I had recently gone though to get to the point in the photo below. 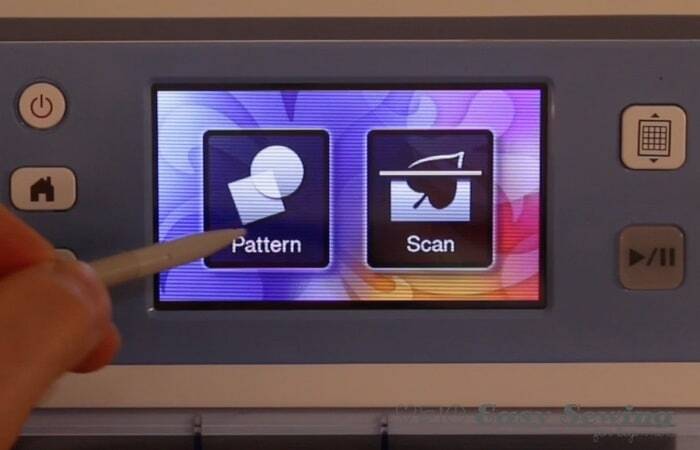 You can see that the scanner struggles to pick up all the designs in the pattern. Some may be too light or the complete outline may be unclear. Sometimes moving the card to a different place on the cutting mat and rescanning can pick up designs that the scanner didn’t pick up previously. 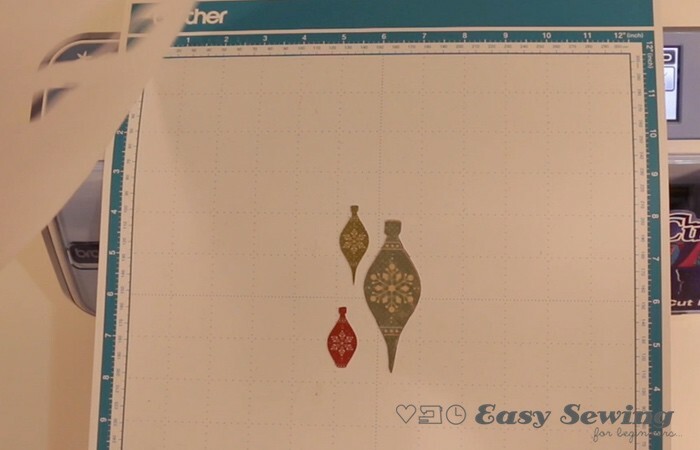 I brought the arrows in to select just a few of the designs to cut out. Once they are all cut you can remove the mat from the machine and remove the excess card. 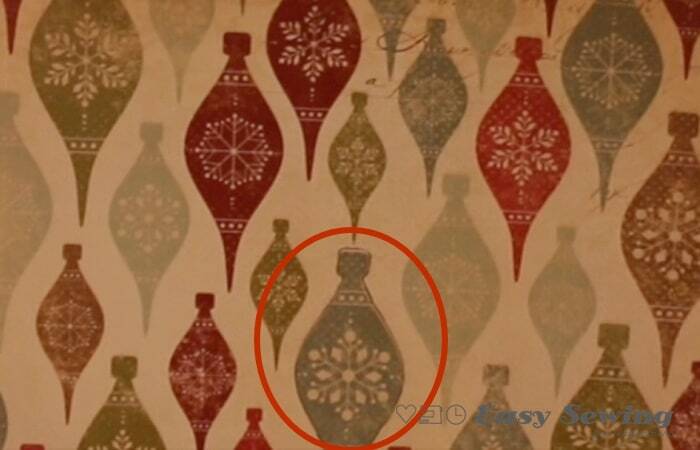 How cool is that to be able to cut out the shapes on an existing design! I hope you found this tutorial helpful. 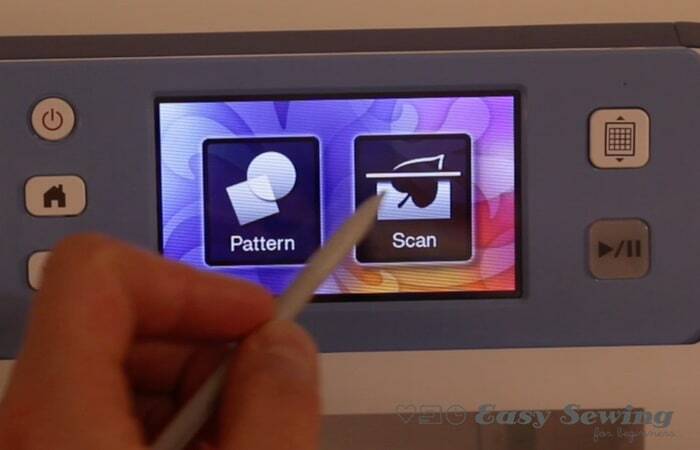 My goal with these tutorials is to help cut that steep learning curve when you get a new Scan N Cut machine. I’m happy to make the mistakes first and then help you not make them! Thanks for watching or just stopping by! Don’t forget to tell me how you’re going with your machine by leaving a comment down below. 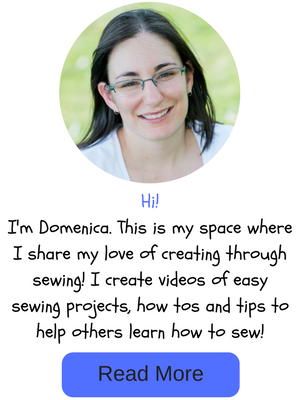 Sign up to my email newsletter so yo don’t miss any of the new tutorials.